Northumbria ACF cadets are preparing for a diving expedition in the Mediterranean Sea. The cadets will travel to the beautiful island of Gozo located just off the coast of Malta where they will undertake dives to explore the beautiful corals and observe the colourful sea life which is in abundance in the area. 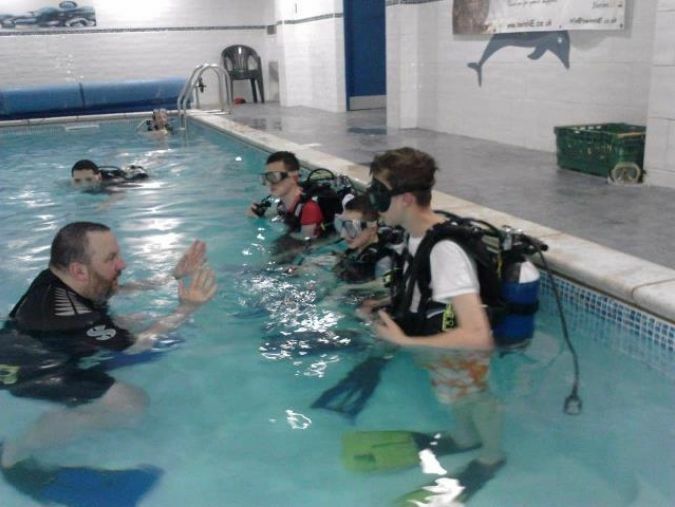 At the end of the week-long expedition the cadets will have gained their scuba diving qualification. However before they go they must learn the basics and are undergoing training in local swimming pools under the watchful eye of their instructor, Lieutenant Ash Pugh. Not all of the cadets are going on the exercise but are gaining experience of the sport through a programme of "Try Dives" being run for individual Detachments.